Jump-start the first Sunday of each month with cycling, jogging, walking or even skating on major streets of Kuala Lumpur Golden Triangle along with thousands of others. It’s a BIG LIVELY Sunday morning you don’t want to miss! Together, let’s support the Go Green campaign! On the 6th July 214, Rapidino was in KL to joint force in this monthly event. 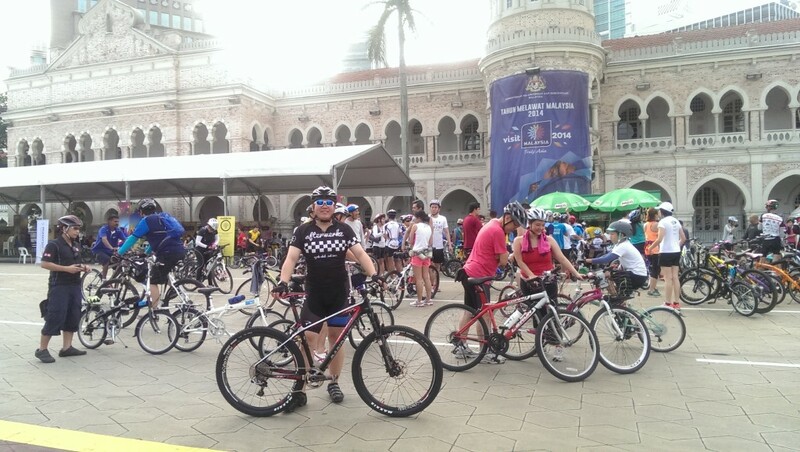 Rapidino team cycled alongside many other participants. We see participants from young children to senior citizen with various fancy bikes. It was an every encouraging efforts put up by the event organiser together with the city hall. We hope to see more and more of such event organized to promote healthy lifestyle. Cheers!